When a glass sample breaks, from the analysis of the fragments and of their surfaces it is possible to reconstruct the origin and the dynamics of the fracture propagation, to estimate the critical breaking stress and to trace its possible cause (presence of defects, impacts or excessive loads). 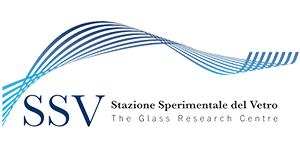 SSV, thanks to decades of experience in the analysis of fracture propagation, is capable of supporting glass users and manufacturers in identifying the causes that are at the origin of the breakage during the use of a glass object, and offers its advice and expertise for the identification of possible solutions to improve its performance. In order to ensure an effective and correct identification of the most probable causes and evolution paths of the fracture, it is necessary to recover the highest possible number (ideally all) of fragments of the broken article.